In salt-glazing, coarse salt is thrown into the small noborigama periodically when the kiln is at its hottest. Freed sodium attacks any exposed clay (including the kiln bricks) and erodes the ceramic surface, forming an “instant glaze” right in place. 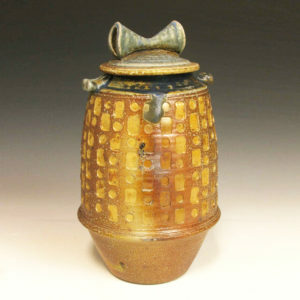 A pitted, bumpy surface is characteristic of salt glaze. 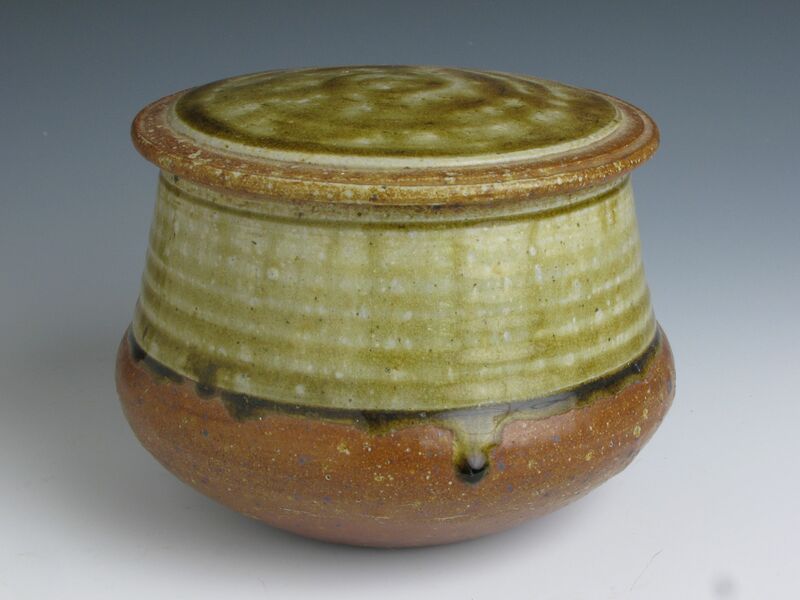 Sometimes cascades of ash glaze slide down the sides, providing a contrast. Fire is made to play directly over the pots, causing many unpredictable color variations. In fact, no two pots come out of the salt kiln looking the same, and this is its chief artistic attraction. Salt glazing seems particularly well-adapted to ceramic work with a Japanese wabi kind of feeling, reminiscent of Bizen and Iga wares, favored for the tea ceremony.